You know how they say the older you get the wiser you are? Well I'm not sure about wiser, but I do know that you learn more lessons. And the more I learn, the more I understand about myself. Digging deeper into the decisions I made when I was younger reveals to me the type of person I was, and the type of person I am now. -I was naive and comfortable being naive. -That college was the beginning of having difficulty making friends. -I can't "do" hard situations and when put in them I run away (I've been able to overcome this, thankfully). -I wasn't like many of the other college girls that I met. Unfortunately, all of these things were pretty negative discoveries and I was extremely uncomfortable with them. I didn't like having to make new friends, I didn't like drama, and I felt bad about myself after the majority of the social outings. Constant thoughts like, 'I should have said...' or 'Why didn't I just...' were reoccurring internal conversations. Those kinds of conversations make you feel bad about yourself. Looking back, there were some girls that I was just supposed to meet. Girls that were comfortable in their skin and in their opinions that, without knowing it, encouraged me to be myself. Girls with morals, that I envied because they followed through with their beliefs. I saw what it's like to be a leader, even though I didn't appreciate it at the time. Girls that I haven't been able to tell how they impacted me, but they did. 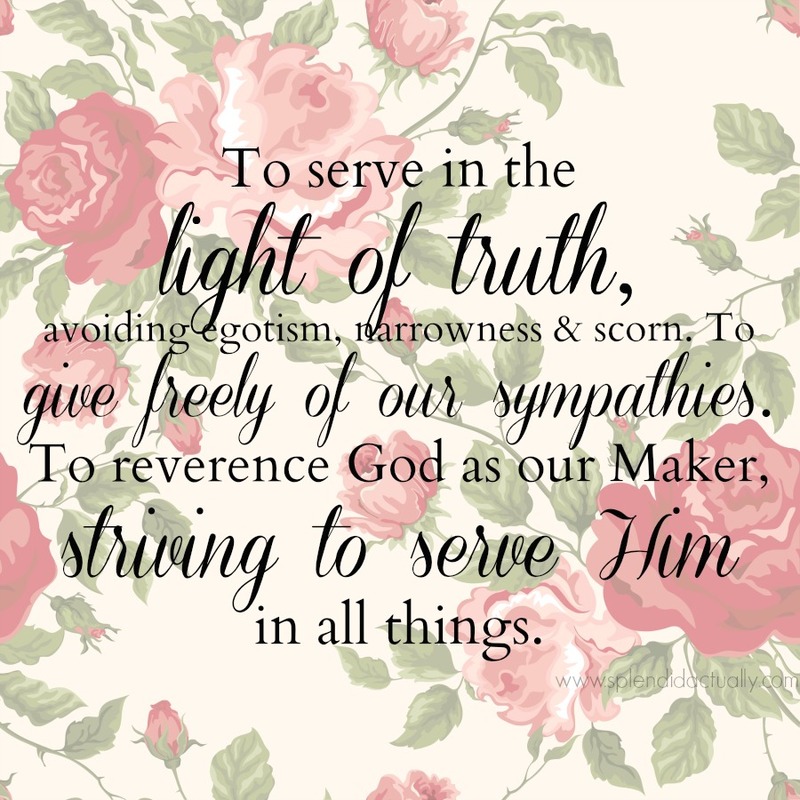 There is a portion of the Phi Mu creed that has always stuck out to me. "To serve in the light of truth, avoiding egotism, narrowness, and scorn. To give freely of our sympathies. To reverence God as our Maker, striving to serve Him in all things." To be honest, I didn't do these things during college. I may have physically served, but it wasn't coming from the right place. I did it because I was supposed to. I judged myself and I judged others. I pushed people away from helping me and I ran from situations that caused me to be vulnerable. And that's something I still need to work on. That passage was a wake up call for me a few years back, because I actually listened to the words as I said them out loud. When you have something memorized, sometimes you don't pay attention to what you're saying. Making that statement is a bold declaration, and it's one that I wanted to take more seriously. Living in regret isn't something I like to do. If I start feeling like I'm struggling with the past, I analyze it, determine why it's bothering me, and come to peace with it. Some of the decisions I've made weren't the greatest (remember I mentioned running away? ), and I would probably change them if I could. But it's okay. Having learned those things I listed up there, I'm able to broaden my comfort zone. Recognizing that I'm uneasy with things, helps me to digest situations easier, thus being able to get a grasp on them and be comfortable with them. For me, that's what my life has about. Experiencing things that I'm uncomfortable with and growing from them. Encouraging myself and serving through that mess. It's a hard, messy way to do life, but I think it's the only way for me to do life. And that's okay. Oh C, I have so many conversations where I think afterward: "I wish I had only . . . " My regrets usually revolve around being too blunt and not thinking enough before speaking. So sometimes what I say isn't my full opinion or what I decide is my opinion later, because I was talking while I was still forming my opinion. Does that make sense? I like your sorority's creed.